Walmart at some point today, will be giving away a Chef Boyardee coupon. 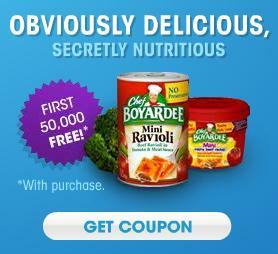 Possibly a Buy One, Get One Free coupon for Che Boyardee. This offer is limited to the first 50,000 registrants. This coupon is not yet live. I will try to keep you posted. Just wanted to give you a heads up.